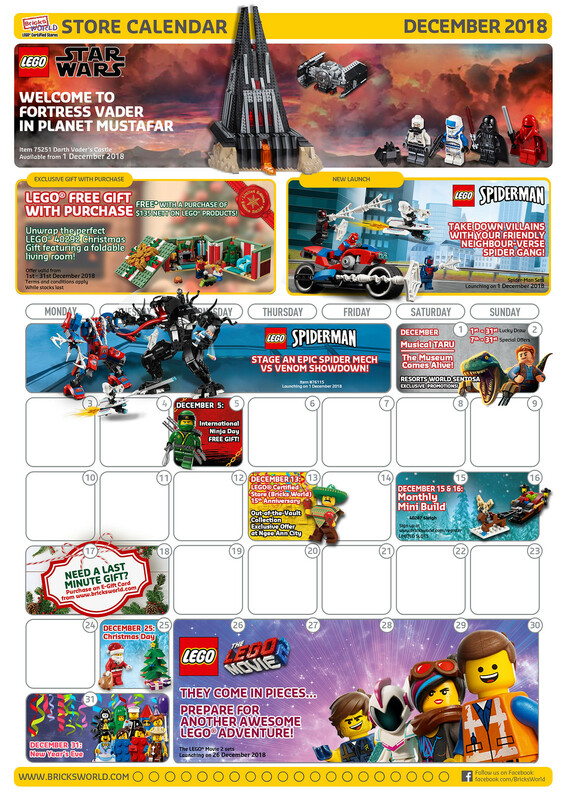 The end of the year is just around the corner and Bricksworld LEGO Certified Store has just released their December calendar and here are the promotions that we can look forward to! Apart from all the new launches like the LEGO Movie 2: The Second Part and LEGO Spiderman sets, we are finally getting the LEGO Christmas Gift (40292) set! December 1st– 31th: Free LEGO Christmas Gift (40292) with a purchase of SGD$135 on any LEGO Products. While stocks last. December 1st– 31th: Harry Potter Original Film Cel promotion: Spend SGD$200 on any LEGO Harry Potter or LEGO Fantastic Beast sets to redeem a set. December 1st– 31th: Stand a chance to win a pair of tickets to Resorts World Sentosa Musical Taru. December 7st– 31th: Exclusive gift with purchase with a minimum spend of SGD$10 on any LEGO products and enjoy 30% discount on LEGO Jurassic World Indoraptor rampage (75930) when you flash your Musical Taru ticket. December 5th: International Ninja Day. Free gift. Check stores for more details. 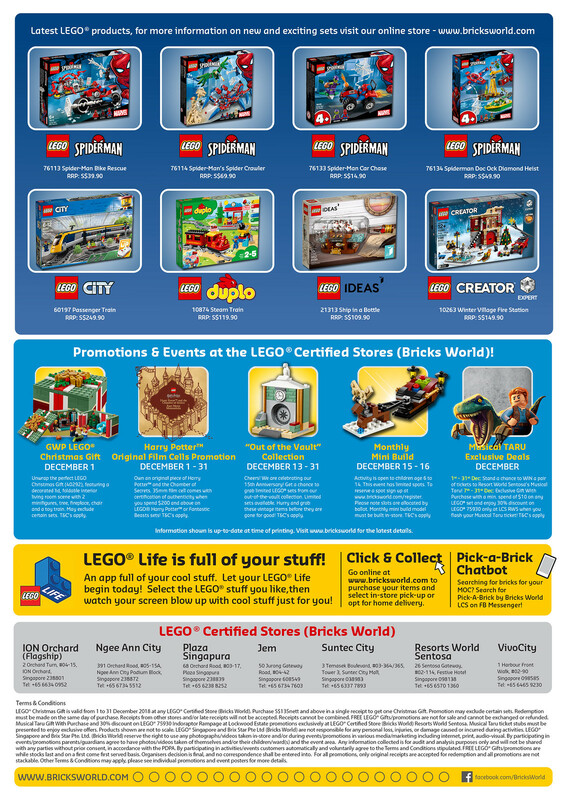 December 13th: Bricksworld LEGO Certified Store 15th Anniversary. Out of the vault collection offer at Ngee Ann City store. PreviousLEGO Star Wars 2019 Official Images!